DO YOU NEED A PROFESSIONER BLOG? Newsrock technical admin can help you create a professioner blog/website like ours and even more than our as you desire. We are professionals in website creating and we create to suit your desire. we also manage other customer blogs/website, we also purchase a domain name for your blog and create a customized email for your blog. 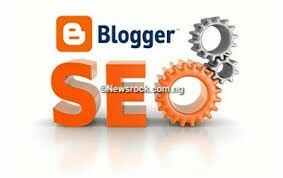 Newsrock can customize your blog perfectly and make it SEO friendly to enable it reaches search engines demand. Apart from creating blogs, we also write articles for other blogger. the article we write are SEO friendly and can help you to rank in google first page. DO YOU WANT TO RANK HIGH IN GOOGLE? Newsrock is a very good seo writer, i have worked for many people and they keep on coming back because i normally give them what they want. Once we write for you, first page is guaranteed, organic traffic is also assured. we will also teach you how you can earn several dollars once you hire us to work for you. Newsrock also a seo expect, I can handle your blog/website off page and onpage seo very well. Create a custom Email address for you using your domain name, e.g: info@yourdomain.com. No additional charges, free for Life. Are you interested in any of the jobs Newsrock offer above?